Your customized beauty consultation awaits! 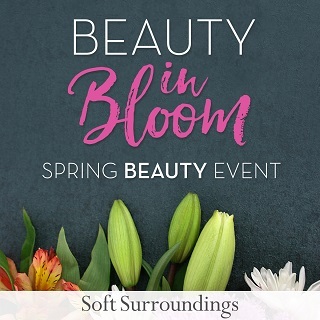 Book time withyour local Soft Surroundings beauty expert April 25-27 to experience theseason’s easiest skincare & color! Reserve your complimentary spot today bycalling your Soft Surroundings store. See you soon!